A letter has been written by Justice Ashok Bhushan, Acting Chief Justice of Kerala High Court and Chancellor of National University of Advanced Legal Studies (NUALS) to Kerala Chief Minister Oommen Chandy, recommending an inquiry by the Chief Technical Examiner, Finance Department, Government of Kerala on all financial transaction made from January, 2010 to November, 2013 in relation to the construction of a new Building in NUALS . 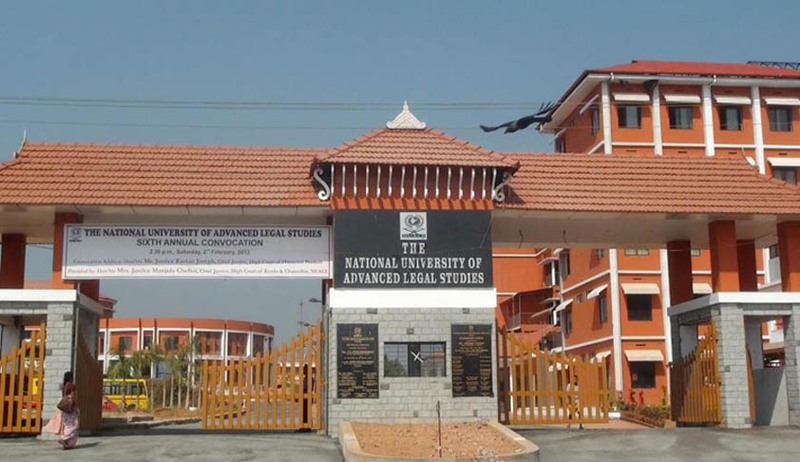 A report dated 23.09.2014, submitted by the Vice-Chancellor in-charge of National University of Advanced Legal Studies (NUALS), Kalamassery, showed irregularities in the construction of buildings in NUALS campus. The order came after the Acting Vice Chancellor of NUALS Dr.Sheena Shukkoor wrote to the Chancellor requesting to invoke his powers under Section 10 of the NUALS Act to order an inquiry to ascertain the financial loss to the University. The VC suggested that the inspection should be entrusted to the Chief Technical Examiner of the Finance Department, Government of Kerala in order to ensure a non-biased investigation into the matter. The Chancellor was hence, of the view that a direction should be issued in exercise of the powers under Section 10(1) of the National University of Advanced Legal Studies Act, 2005 to cause an inquiry/inspection of the entire work, which was under the term of reference of the internal auditors, by the Chief Technical Examiner, Finance Department, Government of Kerala, concerning all financial transaction made from January, 2010 to November, 2013. M/s Dhan & Co., Chartered Accountants were appointed to conduct audit of the civil construction of buildings in NUALS campus, covering relevant financial transactions from January, 2010 to November, 2013. They pointed out several defects and irregularities, like excess payments, deviation from work order, quality of work, statutory violations, violations of the agreement and non-compliance of tender formalities. An Audit Committee was hence appointed on 17th March, 2013 by the Executive Committee, in order to peruse the report of the internal auditors and suggest appropriate remedial measures. This committee was reconstituted on 15th February, 2014. The Audit Committee, in the report, recommended that all irregularities, except ‘quality of work’ can be ratified by the Executive Committee. All the defects were suggested to be rectified by the Project Management Consultants in a time-bound manner. Total unapproved deviations pointed out in the internal audit report on civil constructions are worth Rs. 3, 45, 67,267 according to the report. The Executive Committee by majority resolved to ratify it . However, the Acting VC Dr. Sheena Shukkur, Shri K.P. Dandapani, Adv. K.A. Balan and Adv. M.A. Zohra dissented from accepting the recommendation and the decision to ratify in accordance with the same as the loss to the University, if any, had not been assessed. No Technical Expert opinion had been taken to assess the quality of the works corresponding to the deviation amount.